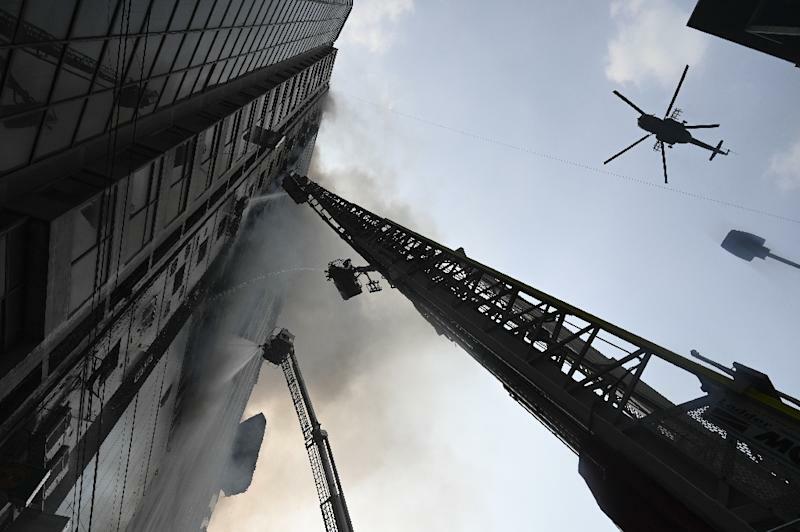 The death toll from a terrifying blaze that ripped through a Bangladesh tower rose on Friday to 25, as authorities vowed tough action to improve lax safety standards. The latest deadly blaze to hit Bangladesh's congested capital Dhaka tore through the 22-storey FR Tower on Thursday, leaving some of the hundreds trapped inside screaming for help as horrified onlookers massed outside. Some of those stuck inside made it to safety by sliding down cables on the side of the building, but others took their chances and jumped in a bid to escape the smoke and heat. Six people leaped to their deaths. Following Thursday's fire, in the upmarket Banani commercial district, authorities have ordered a probe into safety measures at the building. "There was no fire exit in the building. There was an alternative stairs. But access to the stairs was closed or padlocked in some of the floors," fire brigade official Saleh Uddin told AFP. He said the fire department had sent several notices to the building to "implement fire safety measures in the building," but the owner did not comply. "There were no sprinklers. Fire exits existed only in name," fire department director Shakil Newaj told AFP. Housing Minister Rezaul Karim saying a murder case would be filed against those to blame for the tragedy. "Definitely this is murder. It is not an accident... Nobody will escape the law," he said. In November 2012, a fire swept through a nine-storey garment factory near Dhaka killing 111 workers. An investigation found it was caused by sabotage and that managers at the plant had prevented victims from escaping.